MOBAs rule the roost this weekend. The Rainbow Six Siege: Invitational came to a thrilling conclusion last weekend with Continuum outgunning eRa Eternity in the final. 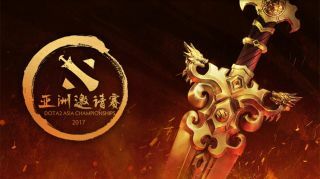 This weekend, there’s action from the League of Legends EU and NA Spring split to the Dota 2 Asia Championships. We even have the latest drama from the Heroes of the Storm: Global Championship. All the details on this weekend’s events can be found below. So far the B)ears and Team Liquid have been the teams to beat as they claimed the first two spots in the playoffs from the European DAC qualifier. Ad Finem and NiP were the first two teams to be eliminated and so far the competition has been extremely fierce. The loser’s finals start today at 06:00 PST / 15:00 CET, while the grand finals kick off at 09:00 PST / 18:00 CET. Make sure you head over to Twitch to catch all the latest action. Misfits have improved a lot in their past few games as they managed to secure a win against Fnatic, proving that they are a top contender in their group. Meanwhile, G2 had their first perfect game of the split when they took on the Giants. G2 kept all their members alive and didn't lose a single tower in their first game, while their late-game aggression secured them the victory. However, Vitality are still having a rough time as they lost their series against H2K. Origen have also not shown any real progress and both teams will need to improve their performance if they want to secure a victory this weekend. The full schedule and stream can be found over on LoL Esports. Team Liquid had a rough start in week three when EnVy used their superior macro play to devastating effect. However, Liquid managed to dust themselves off and defeat Echo Fox after a series of back and forth games. Phoenix 1 tried to desperately hold off Team Solo Mid, but Inori failed to stop a Svenskeren Kha’zix from decimating his squishy team. We enter week four of play this weekend and Cloud9 are still undefeated, so it will be interesting to see if anyone can topple their reign. The full schedule and stream can be found over on LoL Esports. We’re now less than a month away until the Western Clash at IEM Katowice and last weekend we saw a few upsets in North America and Europe. Both No Tomorrow and BeGenius had their hopes of attending the Clash crushed as they lost their games. Meanwhile, there was significant shakeup in the leaderboards as Tempo Storm overtook Team 8 in North America, while Misfits replaced Team expert in Europe. Both NA and EU schedules can be found here, while the stream can be viewed by heading over to Twitch. The European branch of the Hearthstone Championship Tour kicks off this weekend with 72 participants being narrowed down to just four. It will be a Swiss Format for the first part, before the top eight players go head-to-head to see which four will get a trip to the Bahamas for the Winter finals in March. The matches kick off on Saturday, Feb 11 at 11:30 CET (2:30am PST), and Sunday, Feb 12 at 12:30 CET (3:30am PST). You can find all the details on schedule and bracket here, and watch on the official stream here.